4x numbers 6"/150mm high in Garamond font pressed from one piece of eco friendly copper - this is a 99% recycled product. 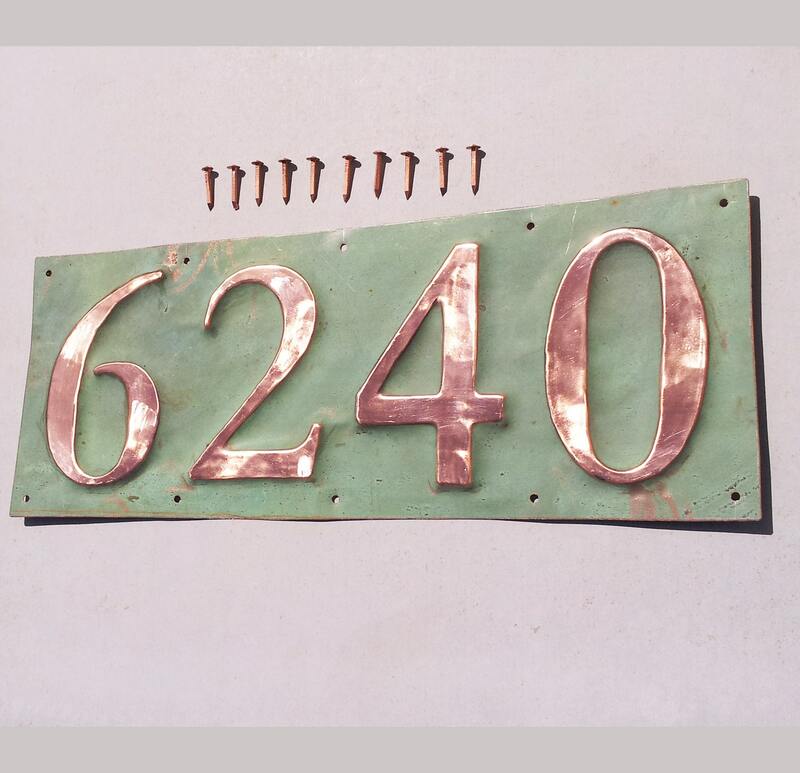 The plaque is fixed onto wood with copper rosehead nails or brick/stucco and wood with brass round head screws. 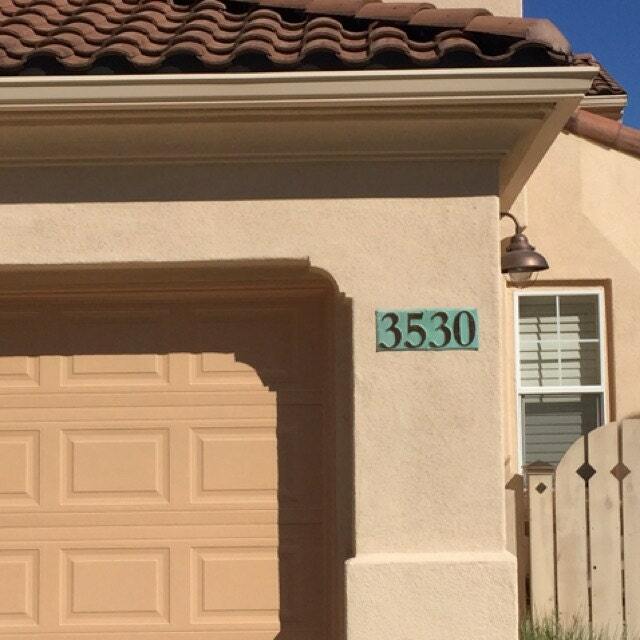 Supplied with screws or nails and fitting instructions. 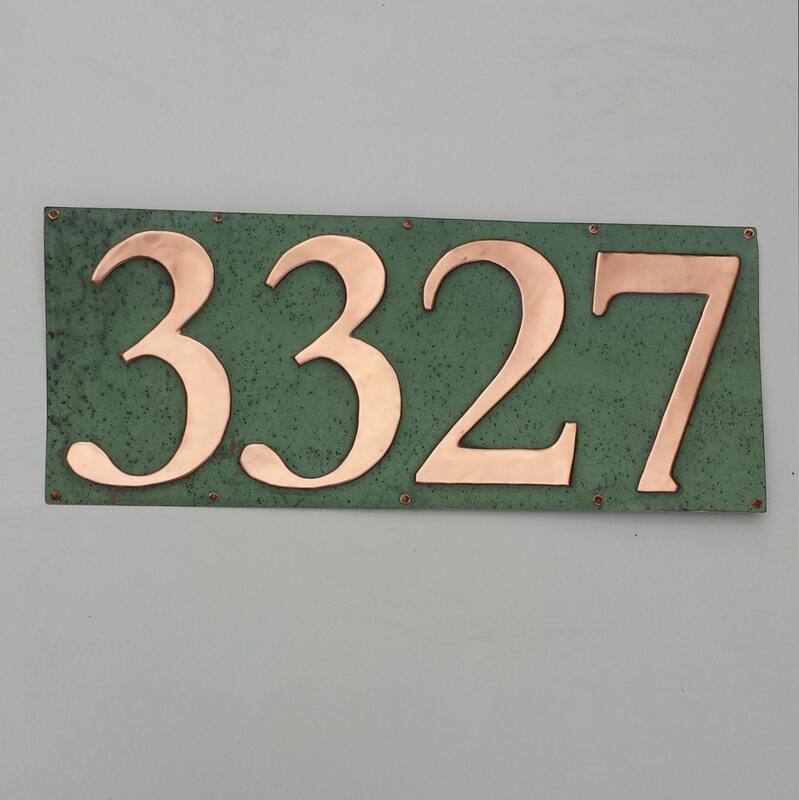 The polished copper numbers are lacquered, the green copper is left 'as is' and will improve further with age and humidity. Size of vertical is approx 29" x 7"
Amazing! We love it! Thank you so much. Perfect transaction. Absolutely wonderful! Lovely and unique.